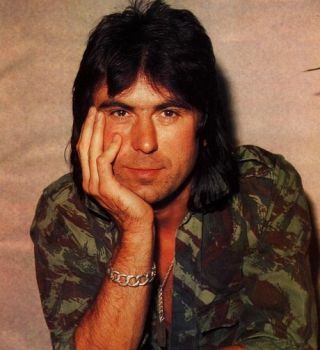 Cozy Powell was a powerhouse in the drumming world who flew the flag for UK sticksman as he linked up with some of the biggest bands on the planet and enjoyed solo success. So, you can imagine how pleased we were recently when we heard that some bright spark has decided to reissue all of Rainbow's classic albums, many of which - of course - featuring Cozy. So, with the first of these reissues set to drop next month, we've put together our pick of Cozy's finest moments behind the kit. The fact that Cozy hit the top three of the charts with a drum-led solo track tells you just about all you need to know about what a huge star he was. 'Dance With 'The Devil' is a three-minute workout around the kit with a great groove and a whole lotta rhythm. Solos were a huge part of Cozy's skillset and this 1976 example sums up his explosive mixture of raw power (just look at the battering he gives those cymbals) and dead-eye precision. The lights and orchestral section, meanwhile, remind us of just what a fine showman he was, and the debt that so many drummers that have come after him owe. A real head-down rocker from Cozy and co. Ritchie Blackmore and Ronnie James Dio are also at their irresistible best, making this a stone-cold rock classic (which is why it just edges out the more commercially successful but slightly less hard and heavy 'Since You Been Gone' and 'Long Live Rock and Roll' in this list). And check out that rainbow above the stage! You can keep your 21st century bells and whistles, now that's what you call a light show. In the 70s and 80s Cozy went through classic rock bands like most of us go through socks. During the mid 80s (sandwiched between spells with Rainbow and Black Sabbath) Cozy was at the kit for Whitesnake. The title track of the band's 1984 effort Slide It In is pure filth from start to finish. But it definitely rocks. As you can see from this clip from Rock In Rio 1985. You don't get many songs opening with such an epic drum fill, do you? Well epic is pretty much the only way to describe this classic cut from Rainbow's 1976 Rainbow Rising album. Dio's vocals soar as Cozy combines solid playing and flashy fills to devastating effect.